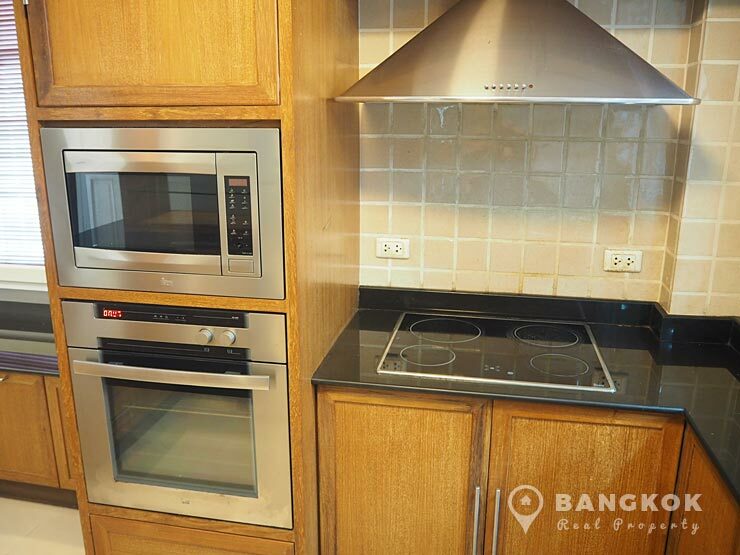 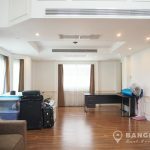 A modern, spacious 3 bedroom house is now available to rent at Plus City Park Sukhumvit 101 /1 superbly located just off Sukhumvit 101/1 within easy reach of Udomsuk BTS. 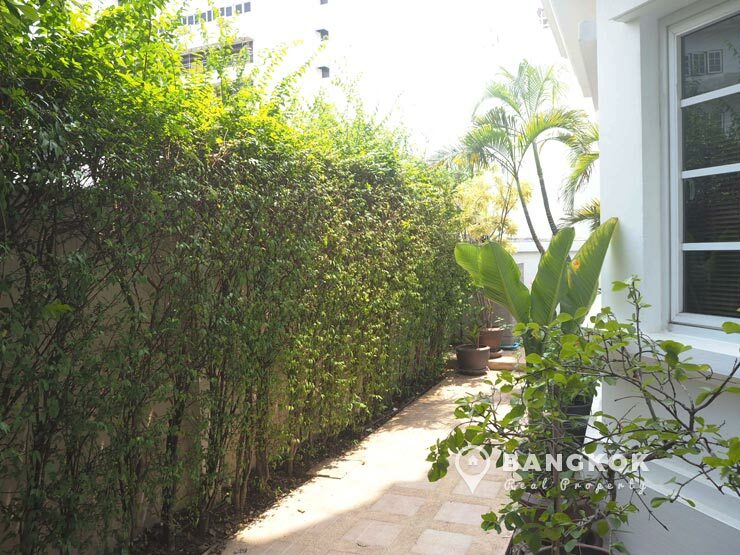 This secure, private compound development built by Sansiri, is set in lush private gardens with 24 hour security and gives residents easy access to local amenities including Tops Market, Villa Market @ Paradise Park, Seacon Square, Central Bangna and Suan Luang Rama 9 Park. 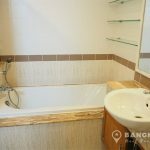 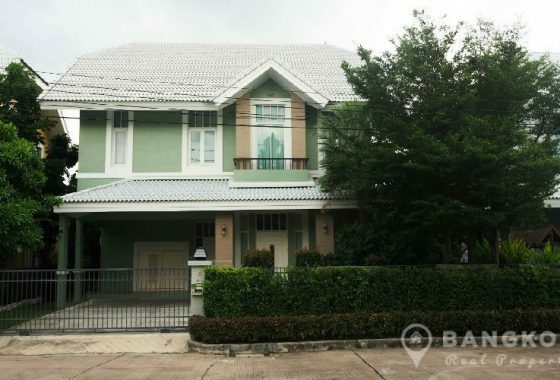 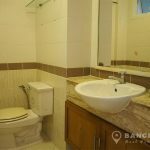 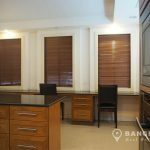 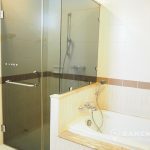 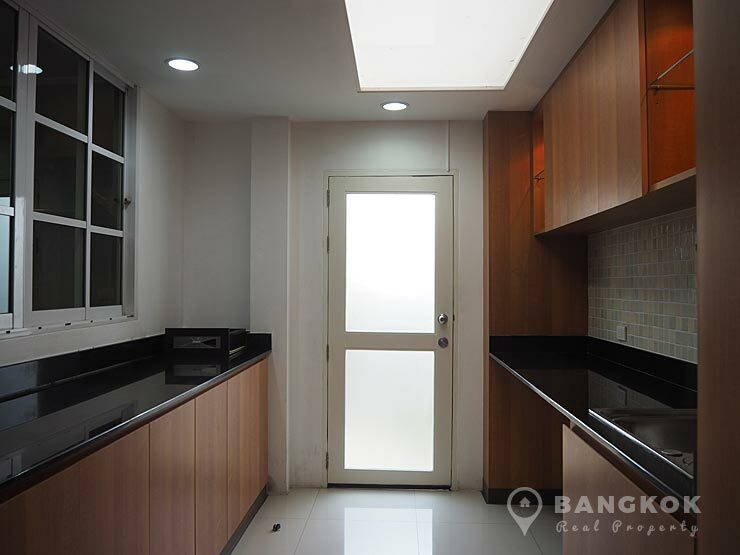 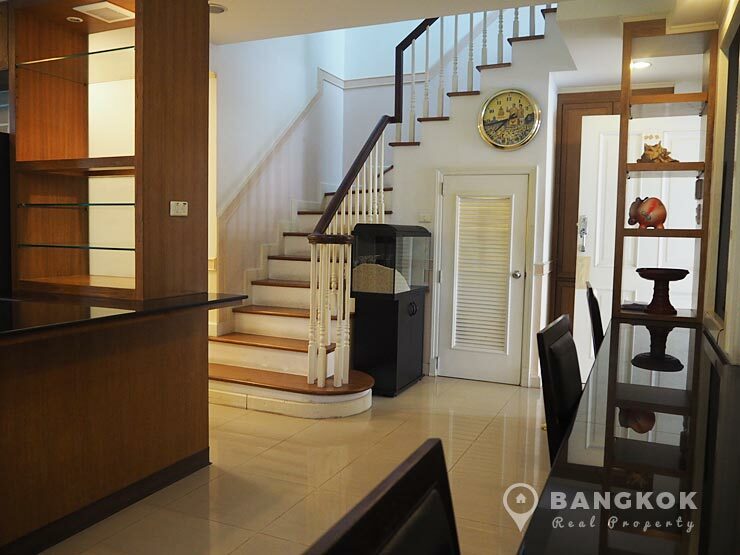 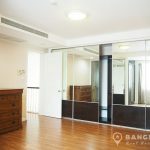 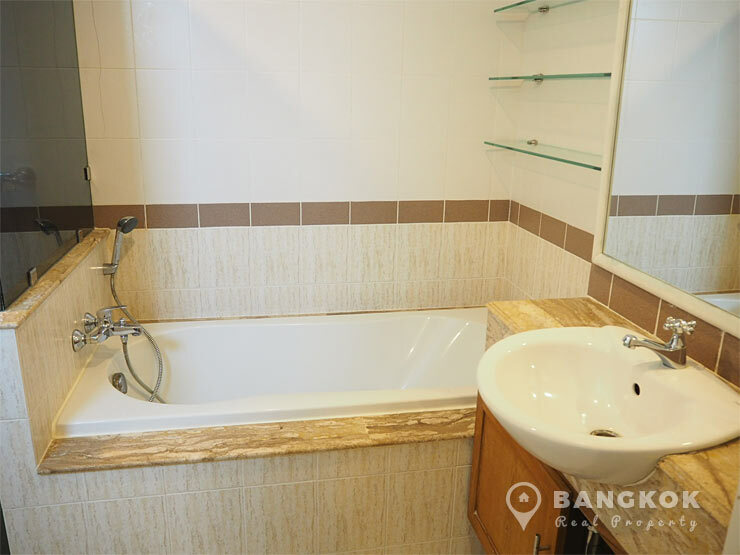 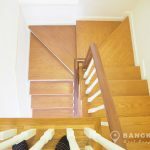 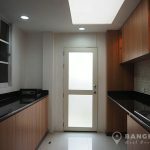 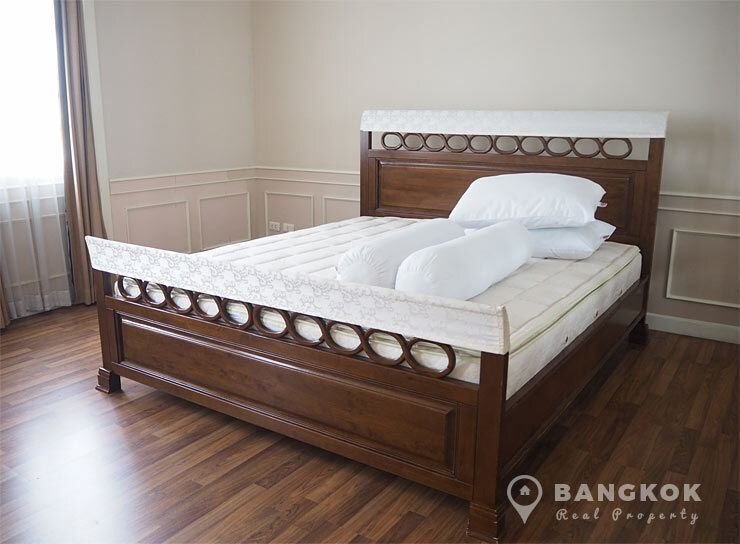 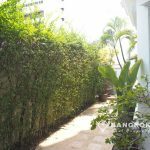 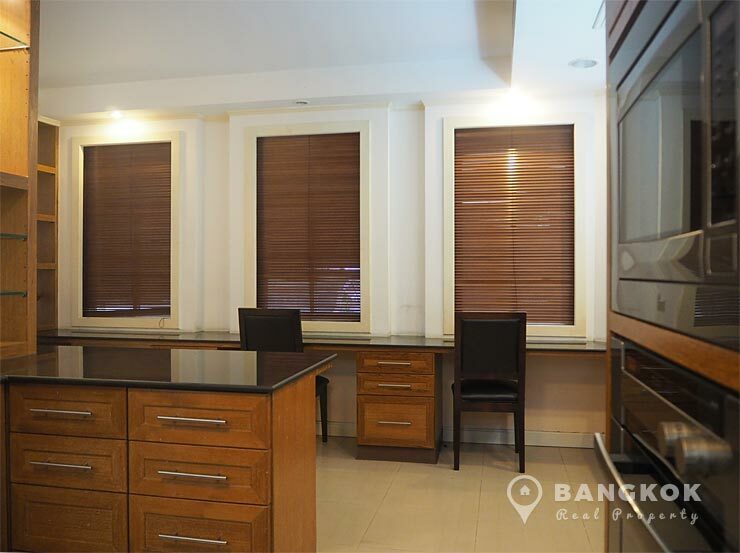 This end of terrace 3 bedroom, 4 bathroom house at Plus City Park Sukhumvit 101 /1 is set on a plot of 24.80 sq.wah and has living space of 230 sq.m with a small garden patio area with garden sala. 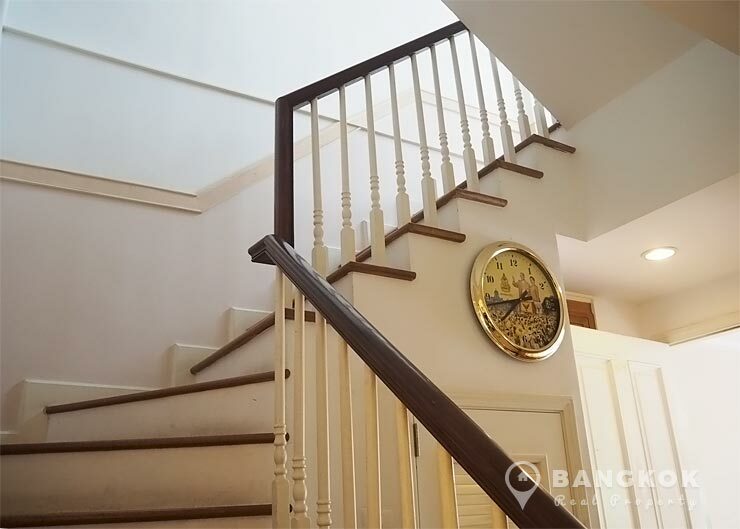 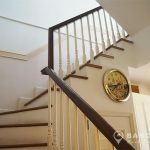 Set over 4 floors, the 1st floor has a large modern, European style kitchen and dining area with a separate large utility / laundry room with rear access. 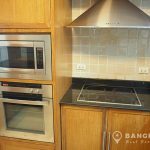 The kitchen has extensive built in units and excellent storage, built in ceramic hob (stove), electric oven, extractor fan (hood), microwave, fridge-freezer and washing machine. 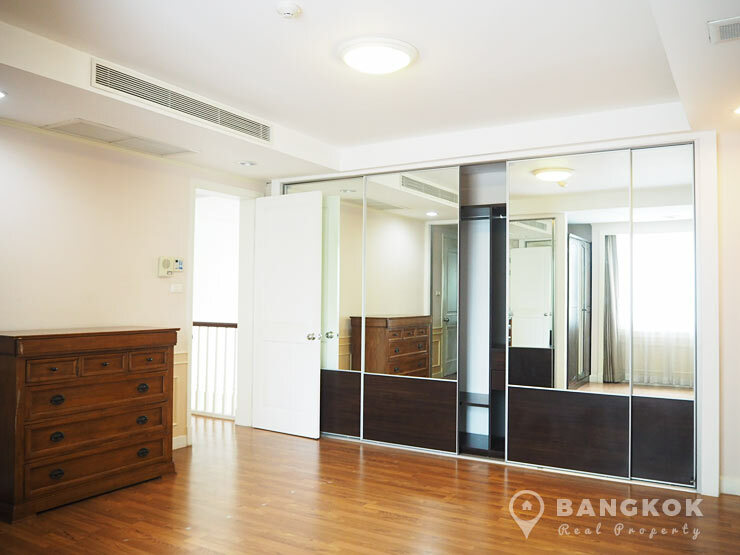 The 2nd floor has a very spacious, double height livingroom with separate study alcove, the master bedroom suite is situated on the 3rd floor, bedroom 2 and 3 are on the 4th floor both with ensuite bathrooms. 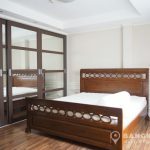 Residents enjoy 24 hour security, off street secure parking, lush private gardens and a professional on site management team. 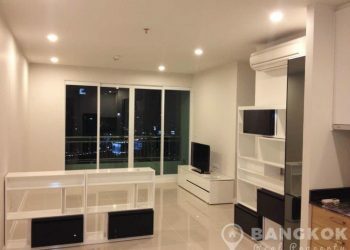 City Plus Park Sukhumvit 101/1 is a modern, secure town house development located on Sukhumvit 101/1 Road with easy access to Udomsuk BTS. 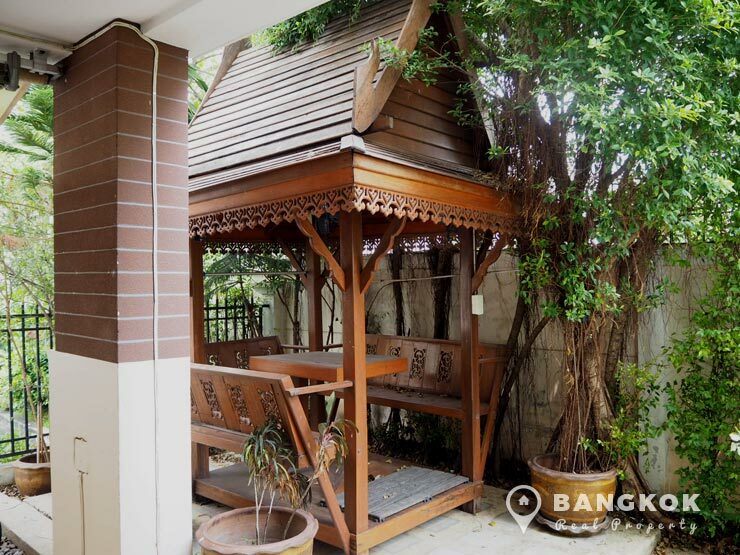 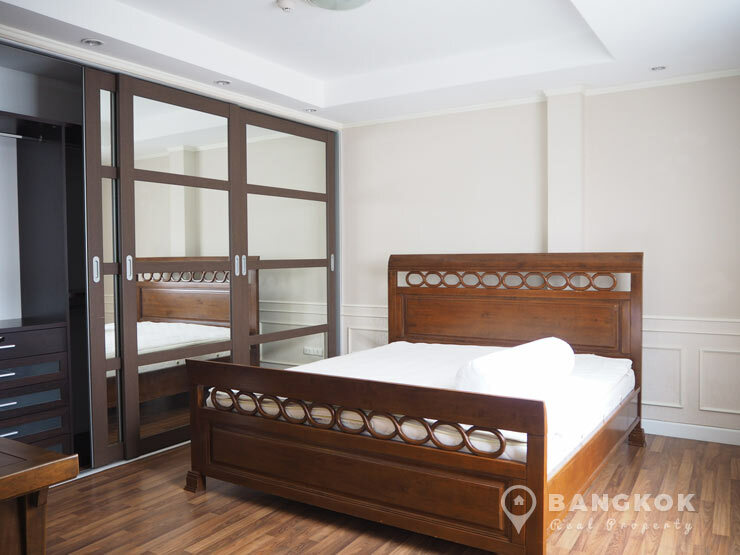 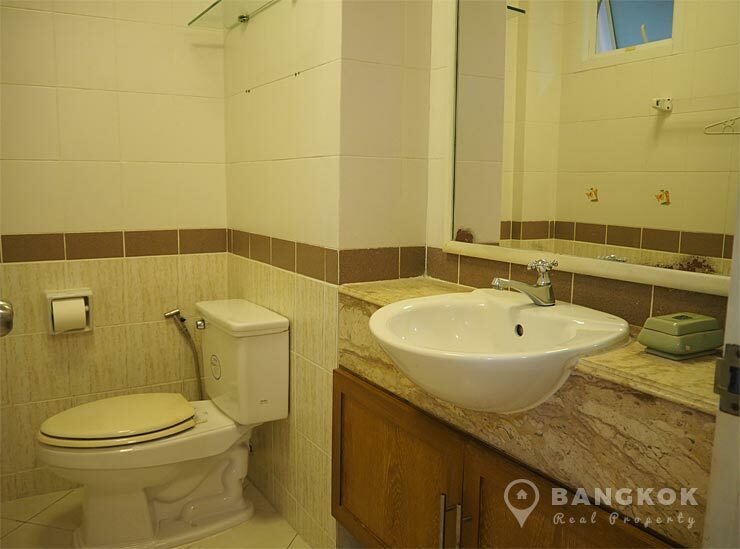 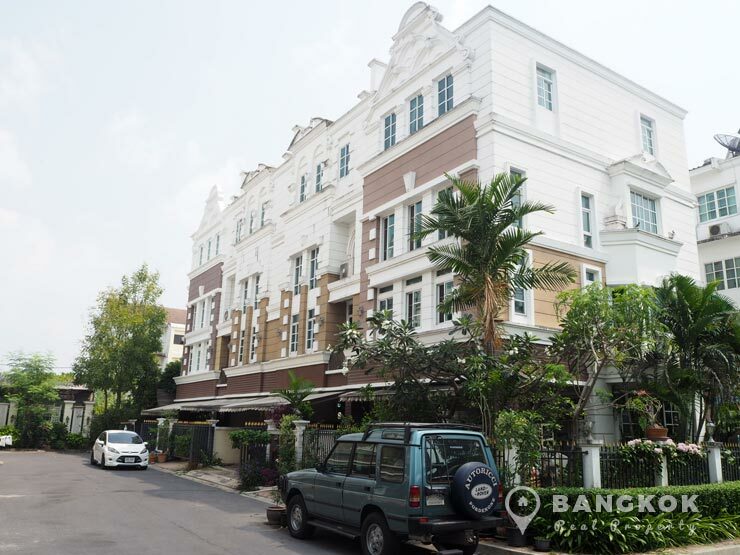 City Plus Park Sukhumvit 101/1 built by Sansiri, c. 2009 has 3 and 4 bedroom houses set in a secure compound with gardens areas and 24 hour security.